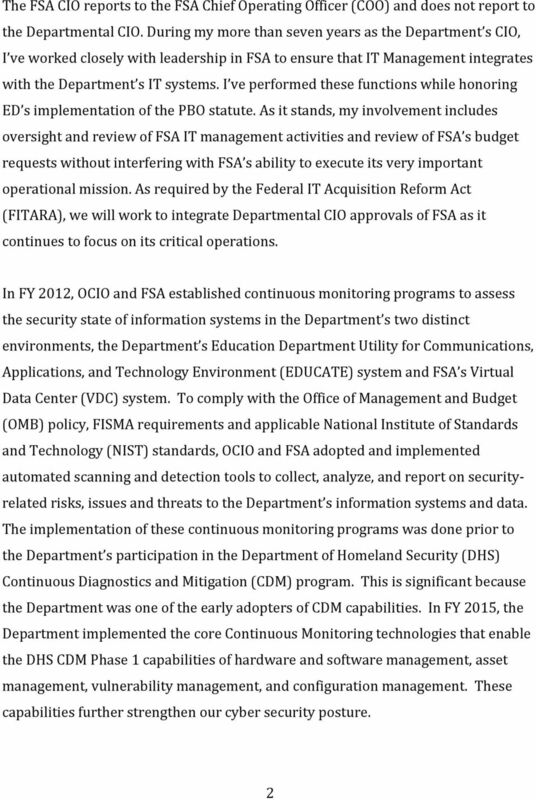 Download "Statement of Danny Harris, Ph.D. Chief Information Officer U.S. Department of Education"
8 Danny A. Harris, PhD, Deputy Chief Financial Officer Dr. Danny Harris is a 20+ year information technology and financial management veteran of the US Department of Education. Dr. Harris became the Deputy Chief Financial Officer, Office of the Chief Financial Officer, US Department of Education on December 12, He supports the CFO in overseeing financial management, internal control and audit resolution, financial systems, contracts and procurement, and grants policy issues. Dr. Harris oversees the development and maintenance of an integrated financial management system and the business functions supported by this platform. He manages staff responsible for ensuring Department funds are spent appropriately, and staff responsible for the Department's daily financial operations. 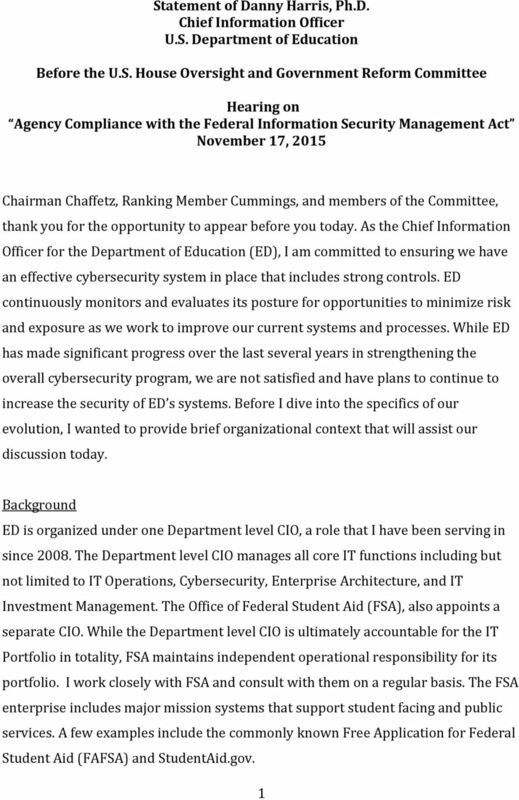 Prior to becoming Deputy CFO, Dr. Harris served as Director, Financial Systems Operations, Office of the Chief Financial Officer, US Department of Education since September He managed the Department's multi-million dollar integrated Federal Financial Management Platform called Education's Central Automated Processing Systems (EDCAPS). 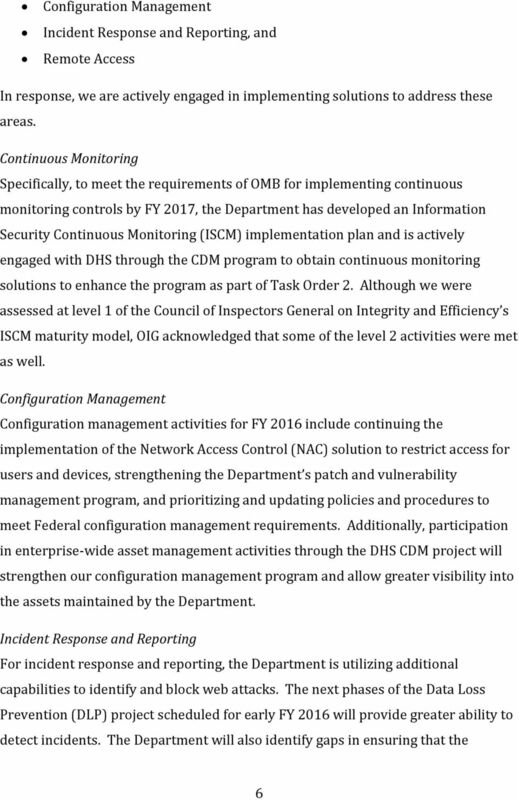 The EDCAPS system incorporates five of the Department's most mission critical applications (Contracts and Purchasing, Grant Award and Payments, Accounting/General Ledger, Travel Manager, and Promissory Note business functions). Previously, Dr. Harris was Acting Director of Financial Management Operations (FMO), managing the flow of data to the Department's more that 200 appropriations, and responsible for the timely submission of standard federal reports and administering the SGL and department-specific accounting policies and procedures. (Sept Mar. 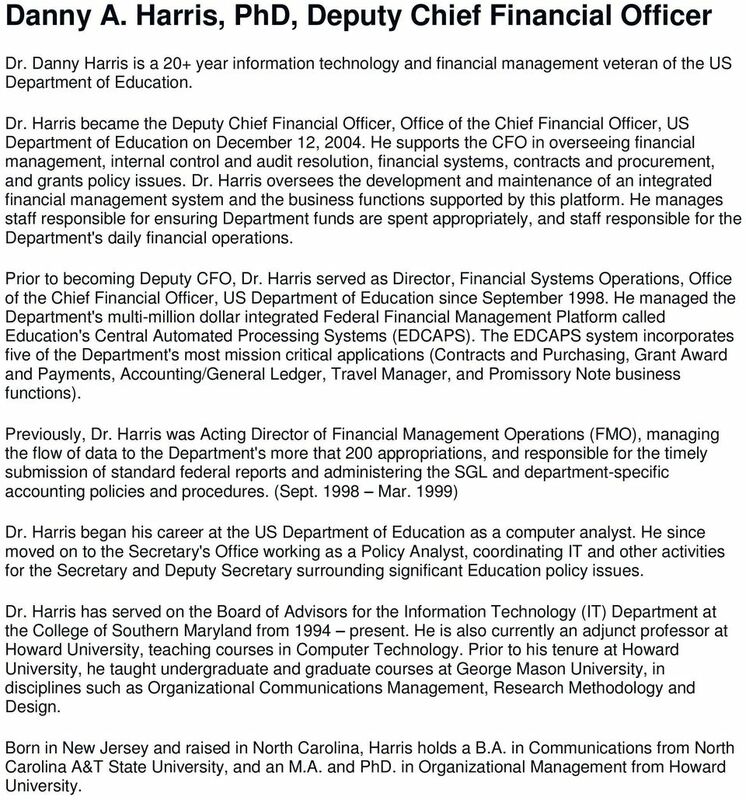 1999) Dr. Harris began his career at the US Department of Education as a computer analyst. He since moved on to the Secretary's Office working as a Policy Analyst, coordinating IT and other activities for the Secretary and Deputy Secretary surrounding significant Education policy issues. Dr. Harris has served on the Board of Advisors for the Information Technology (IT) Department at the College of Southern Maryland from 1994 present. He is also currently an adjunct professor at Howard University, teaching courses in Computer Technology. Prior to his tenure at Howard University, he taught undergraduate and graduate courses at George Mason University, in disciplines such as Organizational Communications Management, Research Methodology and Design. Born in New Jersey and raised in North Carolina, Harris holds a B.A. in Communications from North Carolina A&T State University, and an M.A. and PhD. in Organizational Management from Howard University. Deputy Chief Financial Officer Peggy Sherry. And. 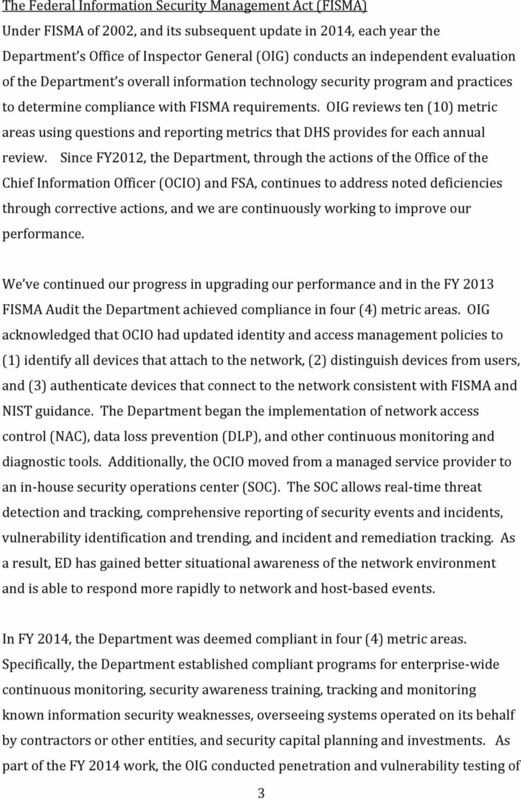 Chief Information Security Officer Robert West. 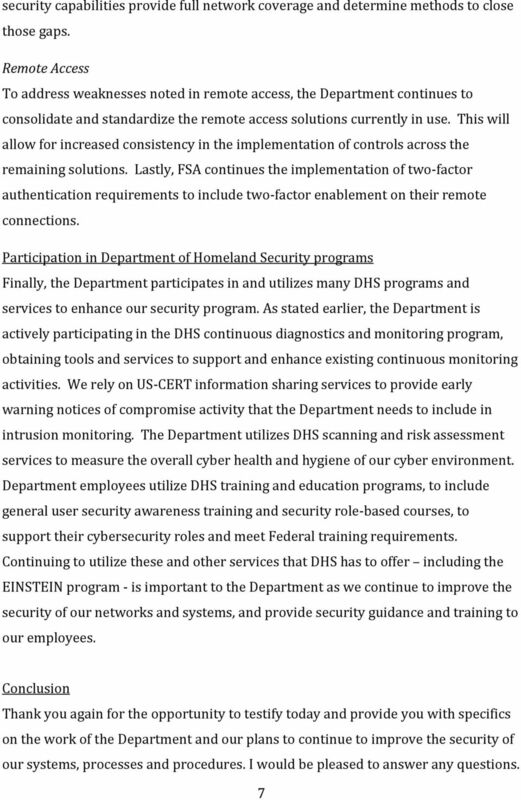 U.S. Department of Homeland Security. 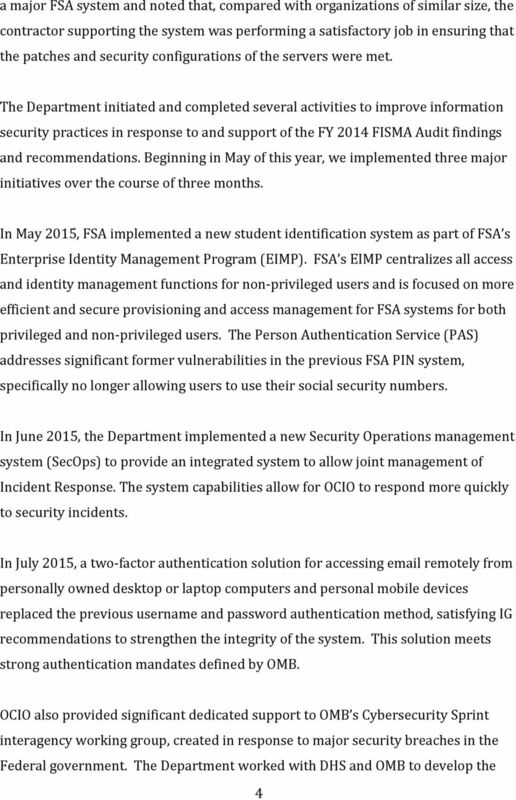 Report of Evaluation OFFICE OF INSPECTOR GENERAL. 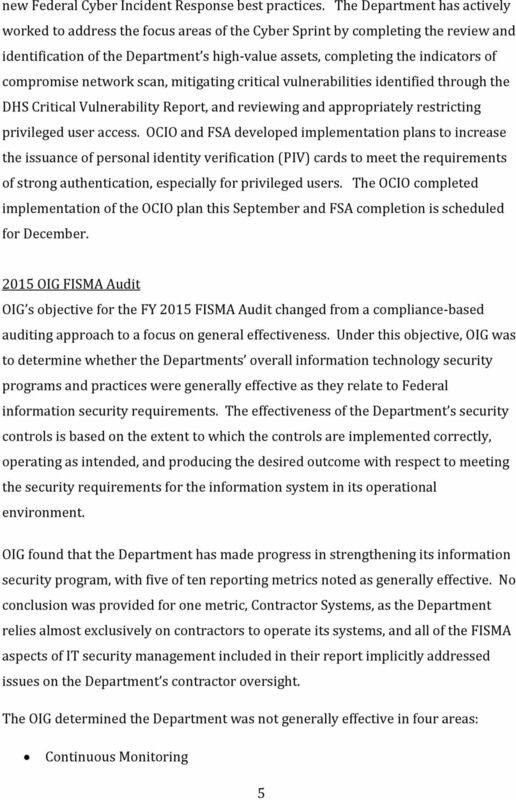 OIG 2014 Evaluation of the Farm Credit OIG 2014 Administration s. Management Act. Topic: Cybersecurity Examinations Key Takeaways: OCIE will be conducting examinations of more than 50 registered brokerdealers and registered investment advisers, focusing on areas related to cybersecurity.